Passive income is defined as regular income or cash flow received for no effort to keep it going. One of the key benefits of passive income is that it requires less direct attention and management than traditional sources of income. It allows an individual to focus their time on other pursuits; whether that be for leisure or business interests. Additionally, generating sources of passive income is critical to maintaining overall income stability. One key financial pitfall is over-reliance on a single source of income. A family that is entirely reliant on one source of income is at great risk in the event that the breadwinner loses their job. 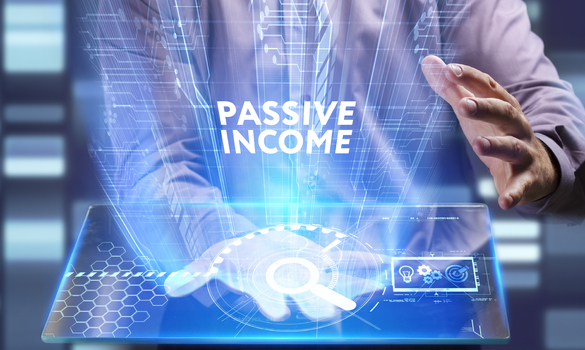 This article will seek to evaluate a few different options for generating passive sources of income that can supplement income from a job or main business. Renting out a spare room or listing your room online is a great option for generating passive income with the property you already own. Many hosts are simply renting out unused space in their homes or apartments to wayward travelers. This can be a great way to create new income and leverage assets you already have on hand. Especially if you can turn this room into a luxury retreat, you can make a significant income on a monthly basis. Additionally, if you’re able to hire a housekeeper to clean the place and setup an automated key for guests to check themselves in and out, the income could be almost entirely passive. Peer-to-peer lending platforms, such as USA Express Loans’ upcoming platform for payday loans in California can connect regular investors with borrowers searching for an affordable payday advance or consumer loan. Anybody can get started funding parts of loans in increments as small as $25. Peer-to-peer lending can have varying degrees of investor involvement, with platforms offering a completely automated system where an investor simply selects a list of basic criteria for the loans they wish to fund. After that, the system automatically funds loans without any input from the investor. Most investors see between 2 to 10% return on investment (ROI) when lending on the major peer-to-peer platforms, and should expect all the way up to 30% on platforms for short-term payday loans. All of those rates far exceed even the best interest rates offered by a savings account. Other platforms allow car owners to rent out their personal vehicles when they’re not in use. These platform provide insurance coverage throughout the duration of the rental, and makes it easy connecting renters and car owners. Furthermore, mileage tracking apps make it easy to know how much the vehicle is driven. Cars can rent for anywhere between $20 to $500 a day (for high-end sports cars) and the platform takes a commission of 20 to 30% from the cost of the rental depending on the level of insurance coverage the car owner desires. Many car owners average over $600 per month in additional income from renting out a single vehicle. This can easily cover a car payment with extra money on top for maintenance and other costs. Many populated areas, especially those with a high concentration of apartment buildings, suffer from a parking shortage. Street parking is either hardly available, or the street-sweeping restrictions are a nuisance to residents. Homeowners with extra space in their driveway can charge $25 to $100 a month (depending on the area) for parking to local residents who want the reliability of a space that will always be available, and don’t want to be burdened moving their car for street sweeping. This might not sound like much income, but it’s certainly another stream that can provide a safety net. In the end, financial stability depends on multiple sources of income. In an increasingly unstable economy, uncertain job market, and with skyrocketing costs of living across the United States, the average family absolutely needs to build multiple income streams. Using key parts of the sharing economy can provide extra cash to cover living expenses and create a safety net in the event of a lost job or financial hardship. Renting out spare rooms, unused parking space, or investing in peer-to-peer lending can add a key layer of passive income to your financial stability.